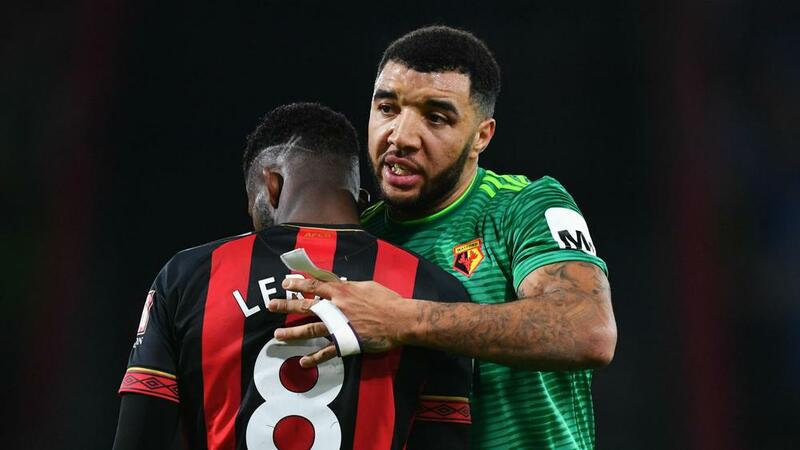 Watford captain Troy Deeney could serve a suspension following the remarks he made about the referee in the match against Bournemouth. The FA has charged Troy Deeney over comments the striker made in the wake of Watford's rollercoaster 3-3 draw with Bournemouth earlier this month. Deeney, 30, took issue with referee David Coote's decision not to dismiss Cherries midfielder Dan Gosling for a lunging challenge on Tom Cleverley at the Vitality Stadium. The match official faced additional scrutiny for opting not to issue red cards to Watford pair Abdoulaye Doucoure and Etienne Capoue during the ill-tempered Premier League affair. In a post-match interview with the BBC, Deeney said: "Abdoulaye Doucoure probably did get lucky, but you can't tell me that their boy [Gosling] did not try to do Tom Cleverley. "They know it, we know it, but the referee bottled it on a few occasions today." Hornets captain Deeney netted twice in the match as all six goals were scored amid a frenetic first half. The centre-forward has been given until January 15 to respond to the charge.